By now you have probably had a chance to surf Goodall Homes' new website. We hope you like it, and that it is a true resource as you seek your new home in the middle Tennessee area. Today we'd like to highlight our newest product line within our StoneBridge community in Lebanon, TN--The Villas at Heritage Trace. What if you could find a home that combines the serenity of country living with the convenience and peace of mind of a virtually maintenance-free, one level home located just minutes from shopping and dining? 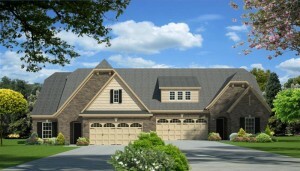 The Stonebridge Villas at Heritage Trace in picturesque Wilson County offer just that! Conveniently located just off highway 109 on Leeville Pike in Lebanon, StoneBridge offers quick access to I-40 and is a comfortable 30 minute drive to the heart of Nashville. 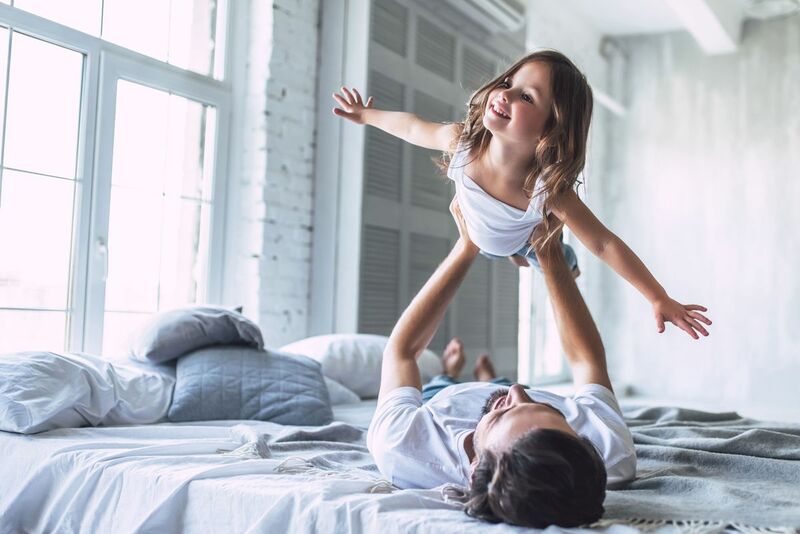 Starting in the $170's, these certified Easy Living Certified Homes offer no step entryways, open floor plans, generous outdoor living space, and optional sunrooms and bonus rooms. With their cottage-inspired brick and stacked stone exteriors, the StoneBridge Villas at Heritage Trace prove that high end finishes and affordability can go hand in hand. And, since all exterior maintenance, including lawn service, is provided at StoneBridge Villas, you'll have time to utilize all of the great amenities offered at StoneBridge, including a 8,800 square foot clubhouse with meeting rooms, a billiard room, fitness center with hot tub and junior Olympic-sized pool. Specifically, there are two different villa floorplans from which to choose at StoneBridge--The Arlington and the Georgetown. The Arlington is a spacious one-level villa. It has two Bedrooms, two Baths, and features an open Kitchen, Dining, and Great Room, in addition to a large covered porch for entertaining. The Arlington also includes a Flex Room for a formal Dining or Study area. It also includes an outstanding storage space with walk-in and oversized closets! 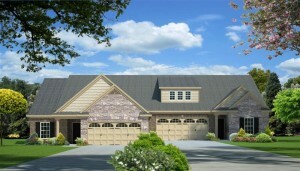 The Arlington offers easy entry from the two car garage or covered front porch. This floorplan contains 1,605 Base Square Feet. The Georgetown is a charming one-level villa with two Bedrooms and two Baths, featuring an open design with a large covered porch and optional sunroom. Access the porch from the great room, or by adding French doors to the Master Suite. The home includes incredible storage with large walk-in closets, a two car Garage and Mud room. Also available is an optional 3rd Bedroom and Bath or Bonus Room with additional storage. The Georgetown includes 1,484 Base Sqare Feet. Please feel free to contact the Online Sales Consultant for Goodall Homes at (615) 448-8929 or goodallonline@goodallhomes.com with any questions on the Villas at StoneBridge.